I made chicken the other day and my meat connoisseur daughter said, “This is the best chicken I’ve ever had!” I stopped dead in my tracks and asked her if she was serious. With big eyes she asked if she could eat it all. So I dropped what I was doing and tried some myself. She wasn’t wrong! This is really good. 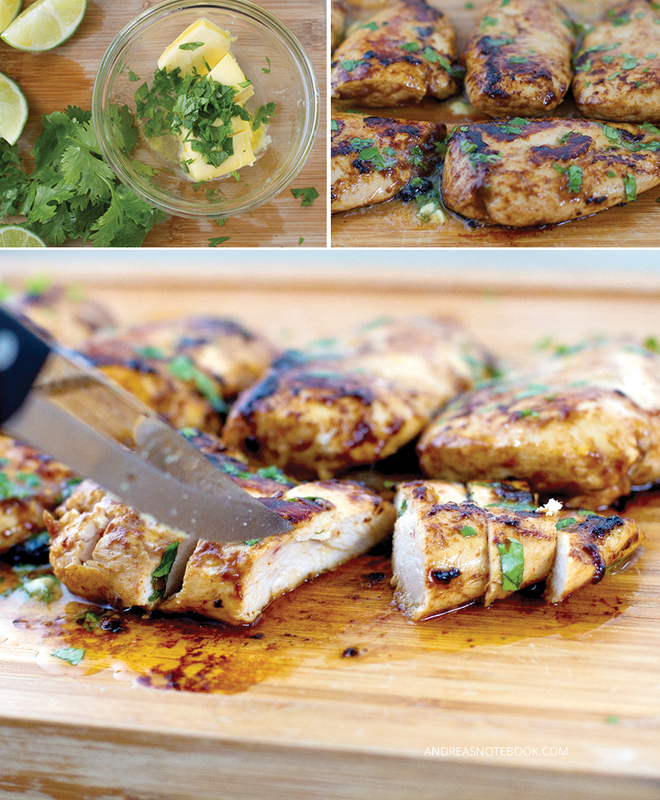 If you’re into chicken and barbecue and lime you’ll love this barbecue cilantro lime chicken recipe. I don’t cook a lot of chicken because I hate dry, bland chicken. If I cook chicken it’s usually for enchiladas or tacos so it’s shredded and moist. But I usually only bake chicken if I’m out of ideas. I can tell you now, I’ll be doing this again and again. Oh yeah, there’s butter in this recipe too. Because butter makes everything better. Of course, you could leave the butter off, if you’re trying to cut calories. But I can’t guarantee it will still be the best chicken ever. It might be the second best chicken ever. The not-so-secret ingredient is the K.C. Masterpiece BBQ Sauce Mix & Dry Rub. I had never used it before and was pleasantly surprised that it is gluten free so my daughter with Celiac disease could eat this too. For those of you interested, there are no allergens listed on the box either. 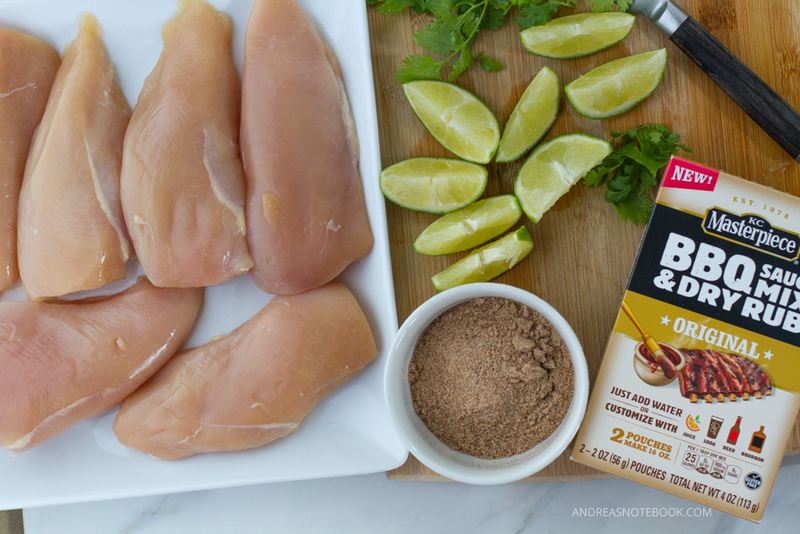 You can use it as a dry rub or mix it with your favorite liquids to make a marinade. I wanted to try bourbon but the only bourbon we had was a bit too good to mix with BBQ rub. And I’m so glad I was forced to go a different way because lime was the answer. Mix the rub, 1/4 cup lime juice and water together. Pour over the chicken and marinade in the refrigerator for about 30 minutes. Mix 2 Tbsp. of softened butter, 1 Tbsp. lime, and cilantro together. Place in refrigerator. Place chicken in a lightly greased baking dish and cook in oven. Which chicken is in oven, heat up a large skillet on medium heat. Cook chicken in oven for 15-18 minutes, until chicken is about 155°. Add 1 Tbsp. of butter and 1 Tbsp. of olive oil to hot pan. Transfer chicken to hot pan to finish cooking. About 2 minutes on each side. 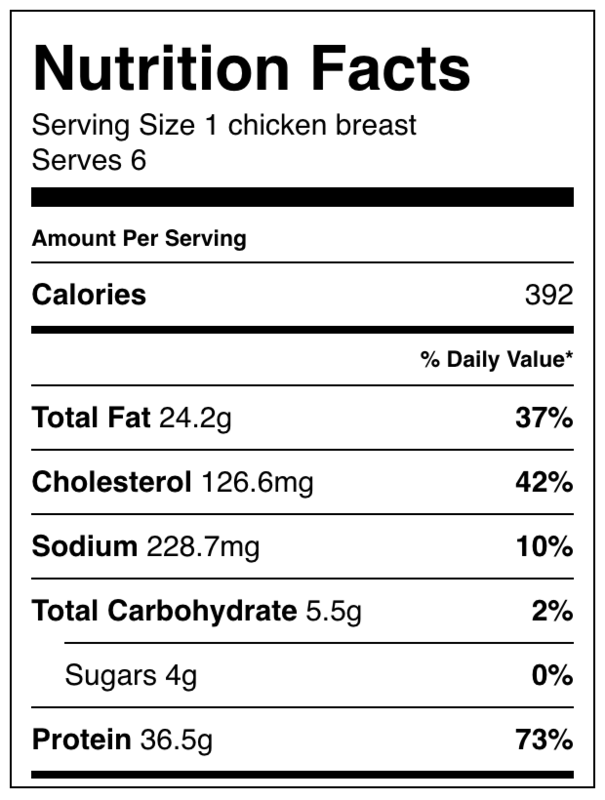 Chicken should be 165°. Transfer to cutting board to rest for 5 minutes. 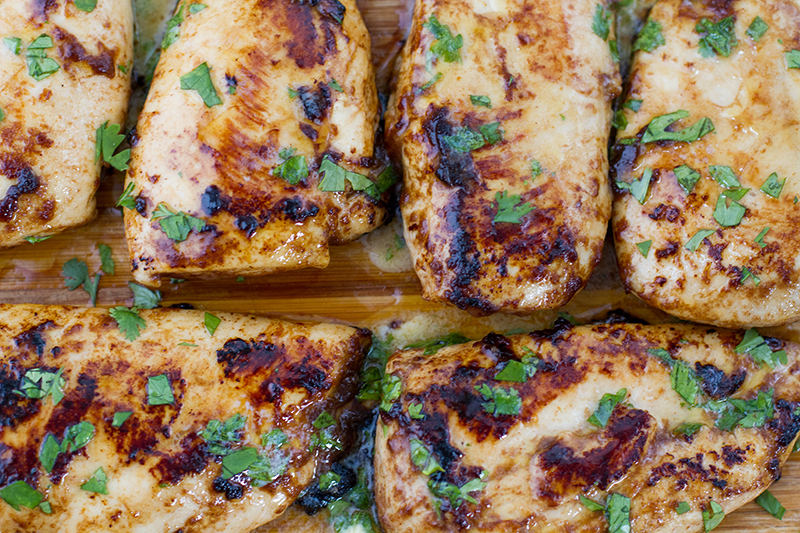 Top each breast with a little cilantro lime butter. This is a sponsored conversation written by me on behalf of KC Masterpiece. The opinions and text are all mine. Comments submitted may be displayed on other websites owned by the sponsoring brand. Perfect timing I was just thinking I needed a change up for my go to chicken! You had me at lime and cilantro! It looks fresh and delicious. I wouldn’t have thought to put lime and cilantro with BBQ, what a good idea. This looks so delicious! This is an excellent list! I will be making a lot of these 🙂 I’ve done some already! Homemade always tastes better. I just discovered this post because Foodie Crush tweeted it. I am so inspired and can hardly wait to try so many of your recipes! Idealize timing I was simply supposing I required a switch up for my go to chicken! My Mom and I decided to make some chicken and dumplings. Your recipe stuck out to us as we were surfing the web. We followed your instructions exactly. The outcome was DELICIOUS! I had a newly purchased box of Bisquick flour which helps, I think. In addition, we grow fresh herbs and used our garden parsley!